With more data in the hands of more people – and easier access to easy-to-use analytics – conversations about data and results from data analysis are happening more often. And becoming more important. And expected. 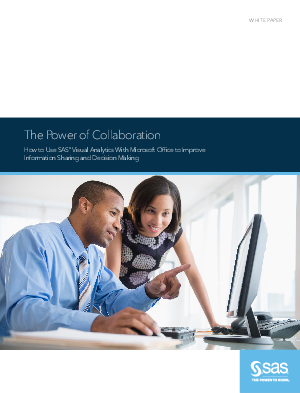 So it’s not surprising that improved collaboration is one of the most common organizational goals. Why? Because two heads, or 10 heads, are better than one. Because bouncing ideas off of others helps you consider more options. And because sharing what you know may help someone else make better decisions.